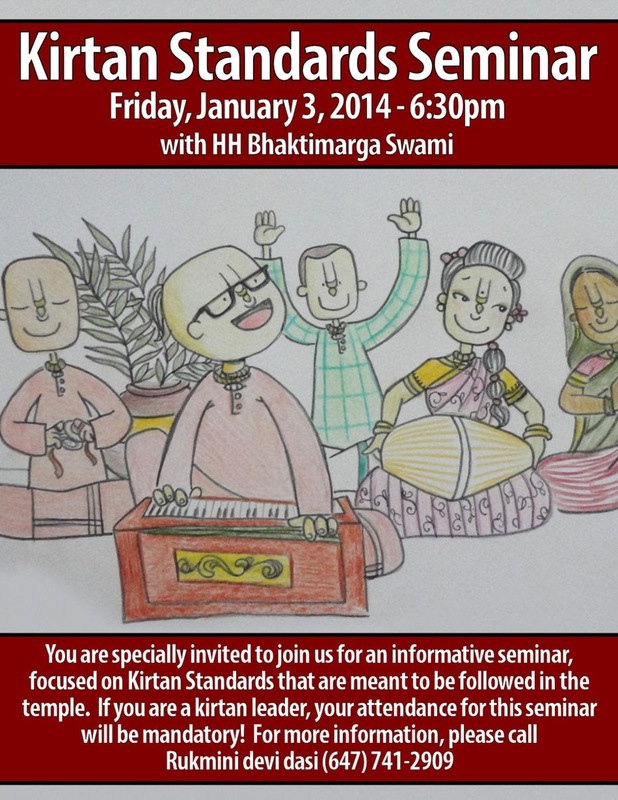 Kirtan Standards Seminar - Jan 3, 2014 ~ The Toronto Hare Krishna Temple! The Toronto Hare Krishna Temple will be hosting another Kirtan Standards Seminar with HH Bhaktimarga Swami on Friday, January 3rd, 2014 at 6:30 pm. This informative seminar will present the proper etiquette and standards that are meant to be followed at our temple with respect to leading kirtans. To attend the seminar, please fill out the simple registration at http://tinyurl.com/k2anfpl and please forward to anyone who may also be interested in this seminar! 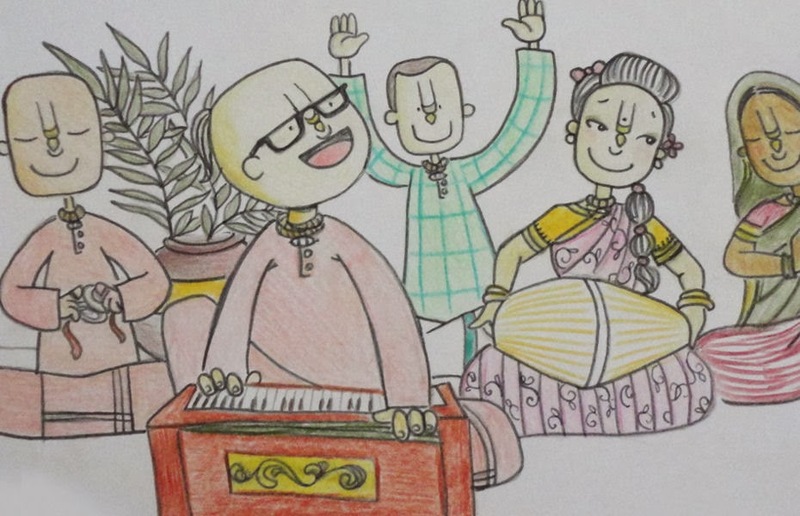 If you have any questions, please don't hesitate to contact us at info@torontokrishna.com. We hope to see you all there!